Editors’ Note: We’ve just gone through a tumultuous campaign and election that has left a lot of folks’ nerves jangled. Our hope is that today’s “report from the road” will give you something fun and interesting – and less stressful – to fill your head and soul with. Enjoy. While Bart and Rorie prefer discovering unknown, off-the-beaten-path places, they agree with the lyrics from Mellancamp’s song Small Town: “Got nothing against a big town”. With more than 850 miles behind us, and lots to see and do ahead of us, we decided it was time time to explore Music City and its surrounding communities. We arrived in East Nashville around dinner time (how fortuitous) and couldn’t wait to try out some local fare. The bad news? A lot of places we wanted to try were closed. The good news? Riverside Grill Shack was open and ready to feed us well. Riverside Grill Shack really is a shack but the food coming out of a window in this tiny building is awesome. Steve and Susan Richter, who became known on the food truck circuit for their addictive Über Tüber hand cut fries, opened in this building last fall and as the reviews show, have a huge following already. After a very satisfying and almost healthy meal (yes, we included a salad with the burger and fried buffalo chicken) we moved on to the place that would be home for 3 days. 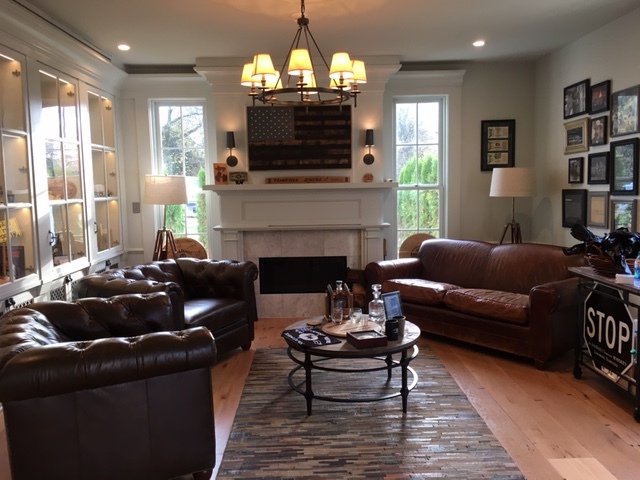 It was an amazing Airbnb house in East Nashville (https://www.airbnb.com/rooms/11345064). It’s owned by Josh and Brittany Farrow, who greeted us soon after we arrived. Josh (pictured below) is a successful singer songwriter (http://theeastnashvillian.com/article/josh-farrow) and Brittany works at an independent radio station. They are a very talented, energetic couple who love music and Nashville. Great hosts! After a great and much needed night’s sleep, we made a beeline to the fantastic, 132 acre Centennial Park in downtown near Vanderbilt University. We love to power walk and this place gave us miles of beautiful paths to work off last night’s Grill Shack dinner. The Parthenon is the centerpiece of the park. It’s the only full-scale exact replica of the Athens, Greece Parthenon in existence. After our morning exercise routine, we headed downtown to the heart of Music Row to see the Ryman Auditorium, locally known as “The Mother Church of Country Music”and the venue where bluegrass music was born. Formerly a Union Gospel Tabernacle and then the Grand Ole Opry House until 1974, the Opry moved to its current location when the building started to deteriorate and crowds became too large. Check out the stain glass windows. We walked around the corner and found ourselves on Broadway, the honky-tonk artery of Music Row, which happens to feature some fabulous places “to pork out”. Tootsies is across an alley from the Ryman. 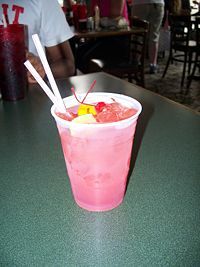 The bar is where many performers would hang out and drink while waiting to take the stage at the Opry House. Must have made for some interesting concerts! When patrons got too unruly, owner Tootsie Bess would stick them with a jeweled hatpin given to her by Charlie Pride. Bart wanted to know if his orange sneakers would be noticed against Tootsie’s orchid facade. Handmade boots are for sale up and down Broadway. Rorie was on the hunt for a pair of red cowboy boots. Do these come in a size 7? What’s better than 1 praline? 1,000 of them! 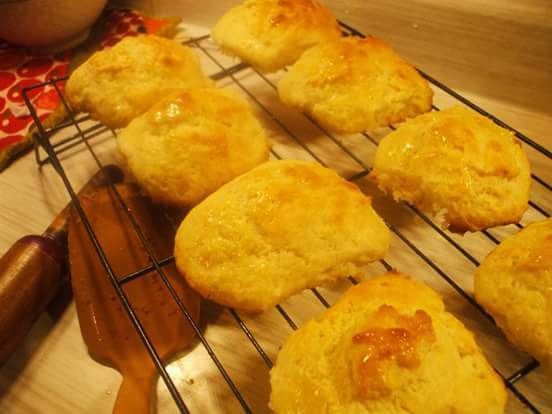 You’ll gain 10 pounds just from the smell wafting to the street from Candy Kitchen. Sadly we discovered Goo Goo candy clusters on this trip…a Nashville specialty. Created in 1912, it’s the perfect dairy and protein snack packed with marshmallow nougat, caramel and peanuts then drenched in chocolate. Can’t possibly be more than 1 point on Weight Watchers right? Time for lunch. So many choices, so little time. Hmmm, maybe some Q? Yup! We followed the amazing smell of hickory smoke and the famous flying pigs neon sign (always a good omen for us) to Jacks BBQ, a local favorite. After wolfing down really good brisket sandwiches and baked beans, our batteries were recharged and we were ready to explore more of Nashville. Country music legends abound in Nashville and so do the museums honoring them, including the modern Country Music Hall of Fame and Museum and the red brick Johnny Cash Museum packed with memorabilia that tell the story of his life. Walking on, we marveled at the beauty of the Schermerhorn Symphony Center. It features a custom-built concert organ with 3,568 pipes. We still had time before meeting some wonderful local folks for dinner, so the Tour moved out of the big city to the smaller community of Franklin. What a great destination! Naturally our first stop was to check out a restaurant/grocery store we heard great things about – Pucketts. Puckett’s is southern hospitality at it’s finest. Casual, bustling, and with an old fashioned general store vibe. 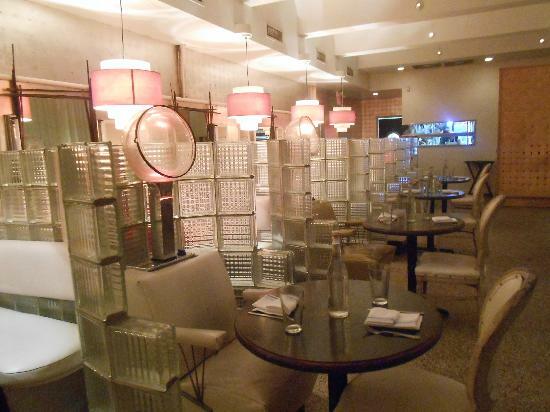 There’s great food, a homey feel and even live music while you chow down on real deal comfort food. Puckett’s GM Tom Zazzetti had his hands full during the lunch hour rush, but took time to share his restaurant’s story with us. Moving on to Main Street, we could see why downtown Franklin is among America’s best examples of outstanding historic preservation. 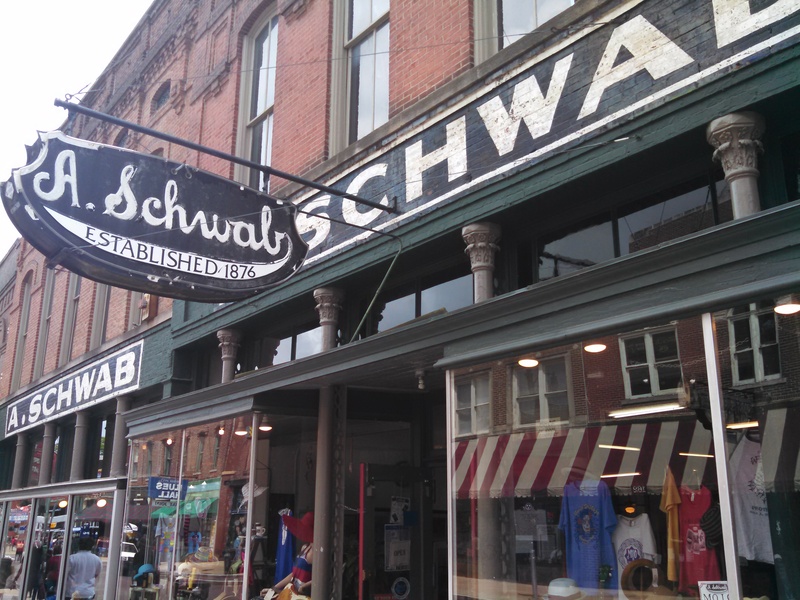 Brick sidewalks and Victorian architecture make up the 16-block National Register district. Gray’s, now a restaurant, was a working pharmacy in the early 1930s and for many years after. On the way out of town, Rorie spied signs for The Factory (http://factoryatfranklin.com). We love to be spontaneous, so away we went. The detour was well worth it. Built in 1929, this is yet another site on the Register of Historic Places. The complex has shops featuring local culture, the works of Franklin artists, a theater and restaurants. The entrance to The Factory is actually pretty hard to miss because it’s guarded by a 20 foot tall sculpture of a metal man that’s made out of old rusted factory parts. Tucked away in the back of the Factory is an artisan butcher shop called Carnivore Meat Co. It doesn’t come any fresher than their locally sourced natural meats and poultry, which are cut and ground in-house. Smoked and dried products are made right there too. Stuart was our knowledgeable and very friendly “tour guide” and he let us sample a number of very tasty products – including hot pepper salami. Wow. We were sold. Rorie, the more health conscious of the road-warrior Russells, decided that “the best salami ever” from Carnivore could be a morning, lunch and afternoon snack. After a full day of food for the heart, soul and stomach, we ended the day having a fun and relaxing dinner. Bart’s college dorm mate Bob (who he hadn’t seen in 45 years) and his beautiful, fun wife Rhonda met us at the hip Music Row restaurant Union Common. Bart and Rhonda were drawn to the burger, which was described as “two all-beef patties, special sauce, lettuce, cheese, pickles, and onions on a sesame seed bun“. Hmmm, sounds vaguely familiar. This scrumptious burger, however, was a truly haute cuisine alternative to the McDonald’s version. Although the restaurant encourages sharing your food, we noticed the tendency of certain people at the table to hoard the thin, crispy strings of duck-fried potatoes! No names shall be mentioned Rhonda. A great time was had by all and we called it a day. We said “goodbye” to Georgia and headed north to Nashville. Bart insisted our first stop in Tennessee had to be Lynchburg (pop approx. 6,362). Although it’s an historical town, history wasn’t what was on Bart’s mind. He was anxious to meet his old friend Jack – as in Jack Daniel’s. 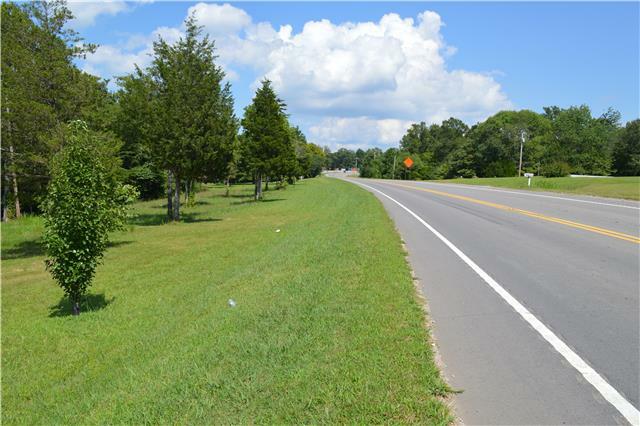 We meandered along various back roads, including Highway 41A, on our way to Lynchburg. 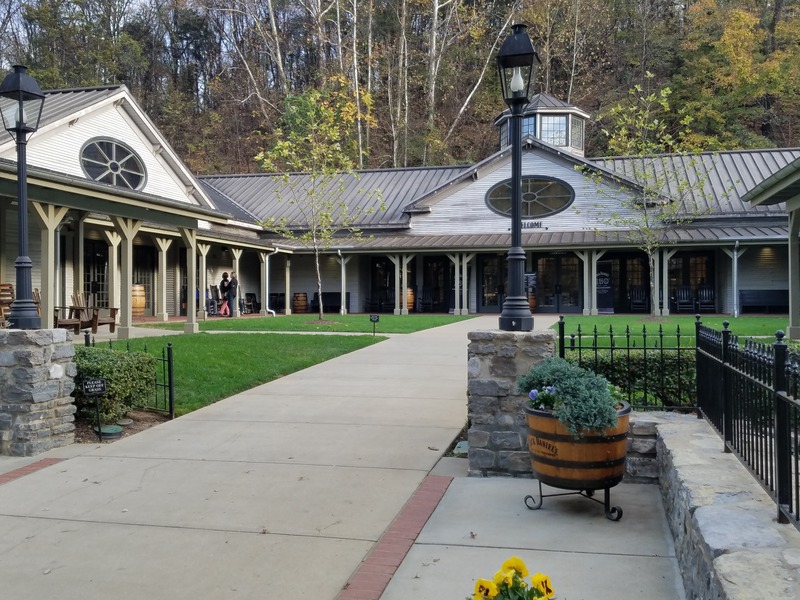 As we got close to the gorgeous grounds of the Jack Daniel’s distillery, we could smell the sweet fragrance of yeast and mash permeating the air. Bart was named a Tennessee Squire in 2006, having been recommended for the honor by his friend, the late Mark Dreyer, whose wife Debbie is our dear friend and neighbor. The Tennessee Squire Association is a private membership program by nomination only. 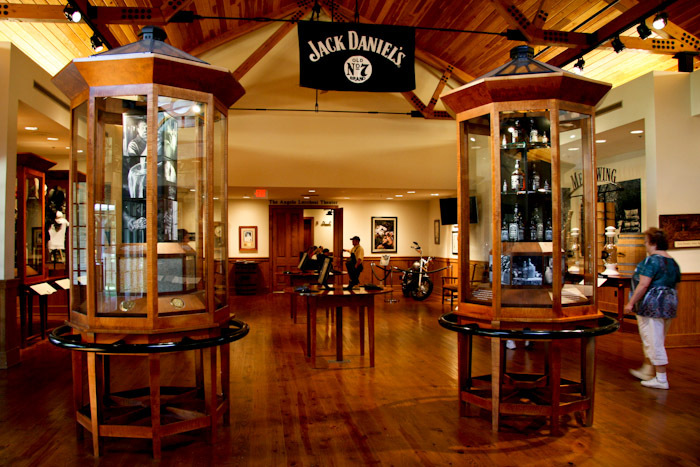 It was created more than 60 years ago to recognize loyal friends of Jack Daniel’s. JD asks nothing in return for this title other than goodwill and friendship. Squires get access to this wonderful “club” when in Lynchburg. We found out from Goose and Judy (pictured below) that the Jack Daniel’s Distillery is celebrating it’s 150th anniversary this year and is the oldest registered distillery in the U.S. Every ounce of it’s Tennessee Whiskey is produced there. When Rorie asked Goose how the distillery could sell alcohol in a dry county, he replied, “We don’t. We sell bottles that just happen to have whiskey in them”. Judy and Goose were true ambassadors filled with knowledge and pride for not only their employer, but also for the town of Lynchburg. Judy gave us a tour of the 1870s-era Motlow House (aka “Squire’s Club”) which was the home of Lem Motlow, proprietor of Jack Daniel’s and the nephew of Jasper Newton “Jack” Daniel, the brand’s namesake. Wherever possible, elements of the original structure were utilized, such as window and door frames and other woodwork. In keeping with the original layout, the house includes four rooms with adjoining common areas, surrounding a central atrium. 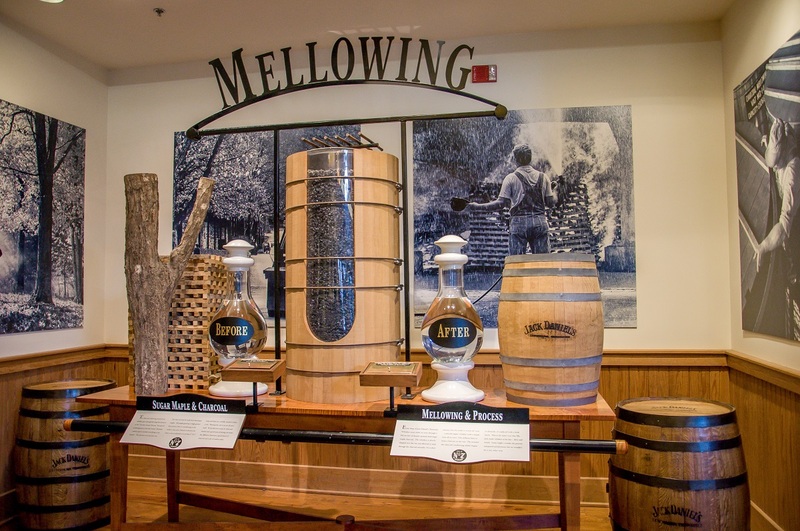 We wandered over to the beautifully landscaped Jack Daniel’s Visitors Center and museum to take in some of the history on display. This is what we’d call “aged whisky” – circa 1914. The square-shaped bottle, first used in 1897, was intended to convey a sense of fairness and integrity. After leaving our friend Jack, the Tour-mobile headed into historic downtown Lynchburg. Our drive to – and through – Lynchburg was relaxing and interesting. Now it was time to motor north to Nashville. We knew we must be on the right route to Music City, when we came across this bus carrying Jason Wade and his roadies. We don’t follow country music closely but found out Jason is the real deal. Wade is an American country music singer-songwriter originally from Pooler, Georgia, a small town 10 miles outside of historic Savannah. Hope we run into you Jared when we get to Nashville! After recuperating from our first day in the Home of the Blues, our second day in Memphis began with a much needed power walk through the beautiful Overton Park near our B&B. 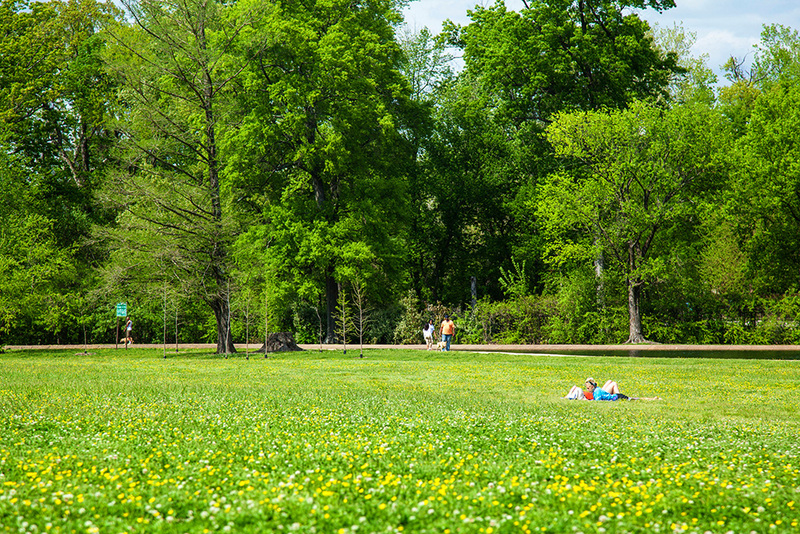 This 342 acre site has walking and biking trails, a band shell for live concerts, dog park and a golf course, and is adjacent to the Memphis Zoo. A great place to walk off about 1/10th of all those southern stick-to-your ribs calories we managed to ingest. With our semi-aerobic exercise out of the way, we returned to the heart of the city just in time for another quick bite to eat. We had to keep our energy up for our jam-packed day! First stop was the Central BBQ, not as well known as some of the other rib joints in Memphis, but some locals claim this is the best BBQ around. After inhaling a jumbo-sized pulled pork sandwich smothered with creamy, crunchy, sweet slaw as our late afternoon “snack”, we absolutely agreed with the locals. it was awesome. Napkins anyone? Next it was on to the National Civil Rights Museum, which pays tribute to the legacy of Dr. Martin Luther King Jr. 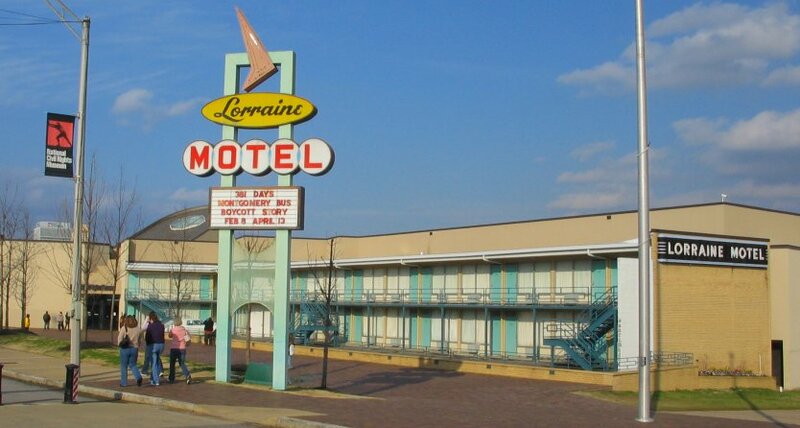 The exhibition hall is attached to the former Lorraine Motel, site of the 1968 assassination of MLK. 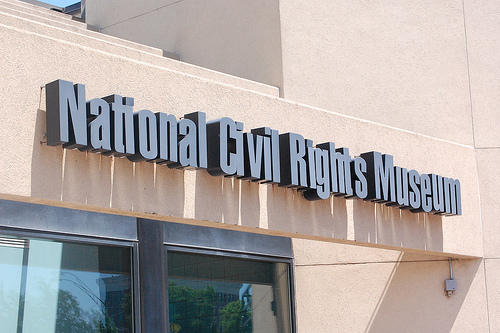 The museum showcases the struggle for civil rights from the 17th century to the present. It is both a moving and disturbing collection of audio and visual historic facts and artifacts. The sounds of “slavery” filling the exhibit hall are overwhelmingly poignant. The Lorraine motel, which is part of the museum, is a chilling reminder of the tragedy that occurred on April 4, 1968 on the 2nd floor balcony. After touring the main building and exhibits we crossed the street to the museum annex that contained more historic exhibits about the ongoing fight for civil rights. The annex has recreated the room Ray checked into and the community bathroom he allegedly fired the shot from. Below is a photo showing Ray’s bathroom view of the Lorraine. 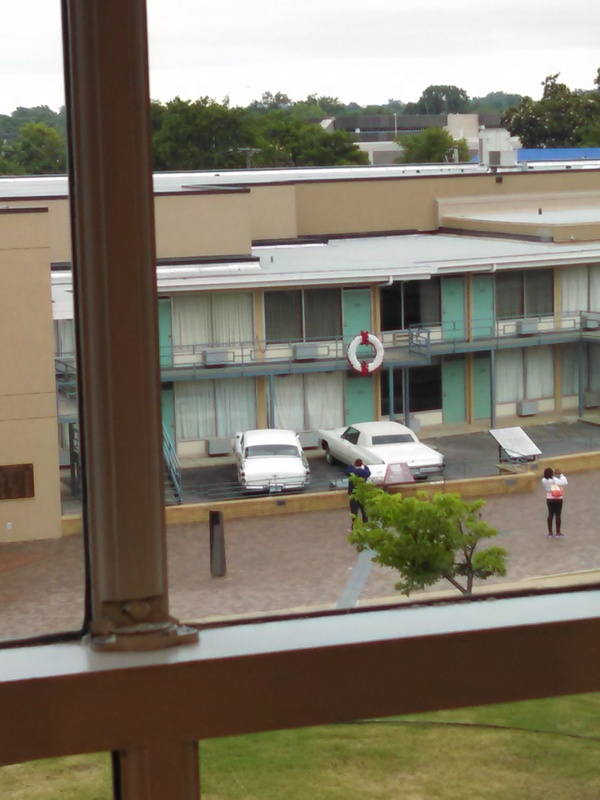 Looking from the room window across the street to the balcony where MLK was gunned down was a very intense and terribly sad experience for both of us. It was impossible to comprehend the level of hate someone could have to intentionally carry out such a heinous crime. The wreath on the balcony marks the approximate place MLK was standing when he was assassinated outside of the room he shared with Dr. Ralph Abernathy. After leaving the National Civil Rights Museum and taking a moment to collect our thoughts, we wandered over to the Blues Hall of Fame, which honors those who’ve performed, recorded, or documented blues. 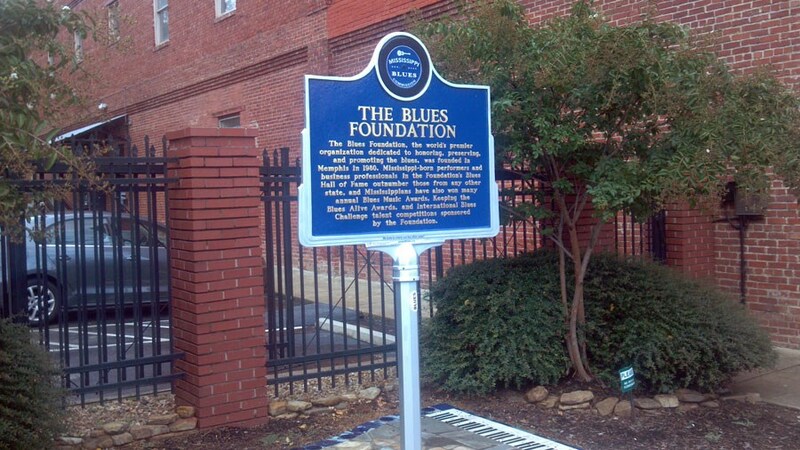 Little Walter’s harmonica, Johnny Winter’s guitar, and Koko Taylor’s $2,000 gold boots are all displayed here, along with other items that tell the story of blues musicians nationwide. Interactive screens and guitars, stage clothing, Grammy Awards, and platinum records from artists like Muddy Waters, Robert Johnson, and Stevie Ray Vaughan are featured. 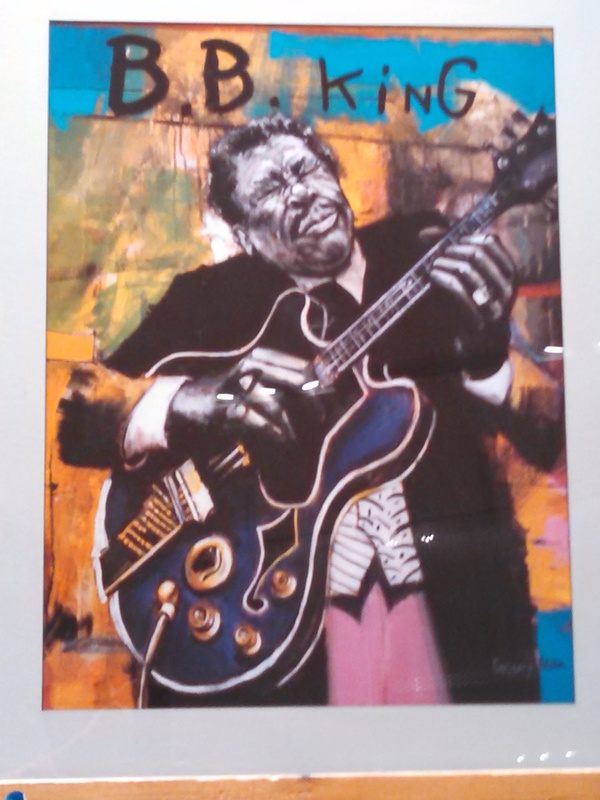 The exhibit includes so many more one-of-a-kind artifacts, most of which were donated by the musicians families. 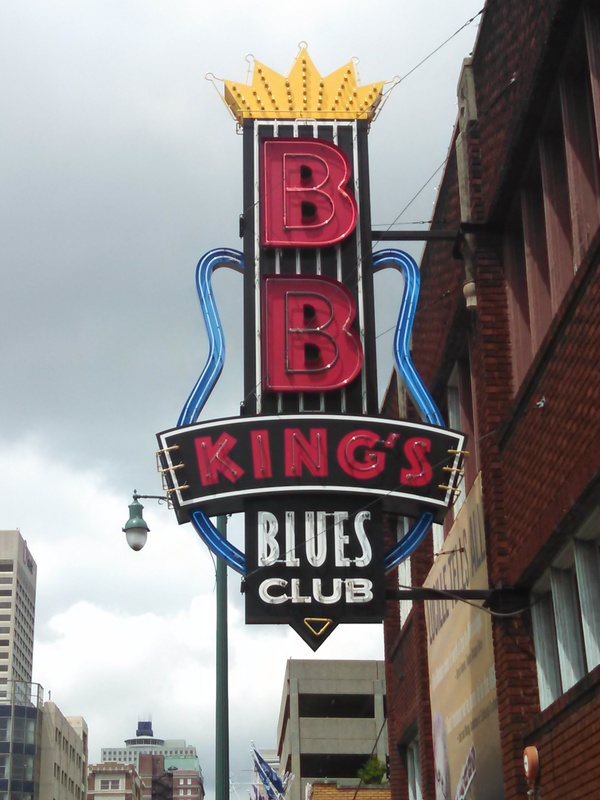 The blues may have stemmed from sadness and struggle but this is a really cool, upbeat place. So, if you love the blues and all the musical giants who made it great, you’ll love this gem! As a child of the 50’s and 60’s, and an oldie but goodie herself, Rorie’s must-see list also included Sam Phillip’s Sun Studio, which opened in 1950 and is the birthplace of Rock ‘n Roll. This genre of music was the offspring of the marriage between blues and country and was born at Sun Studio where Elvis, Carl Perkins, Johnny Cash, Jerry Lee Lewis, Howlin’ Wolf, Roy Orbison and a host of other legends came to record and launch a musical revolution. 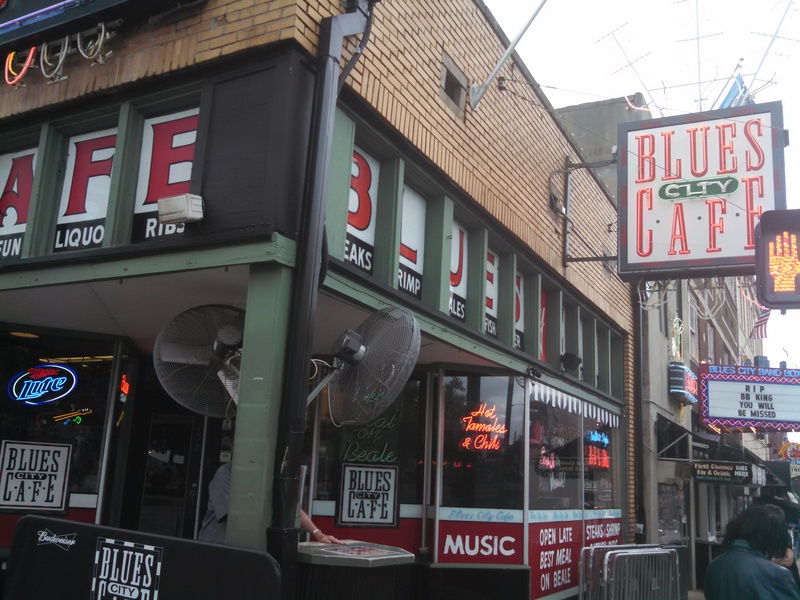 In 1956 an impromptu jam session took place here which became known as the “Million Dollar Quartet”. We loved the music memorabilia, classic jukebox, recording equipment and old photographs covering the walls. It brought back a lot of memories of a simpler time when you could actually understand the words to the music and even dance to it. This is a stop not to be missed. After returning to our B&B (https://www.airbnb.com/rooms/194998?s=22) for a little R&R, it was once again time to think about – you guessed it – eating. 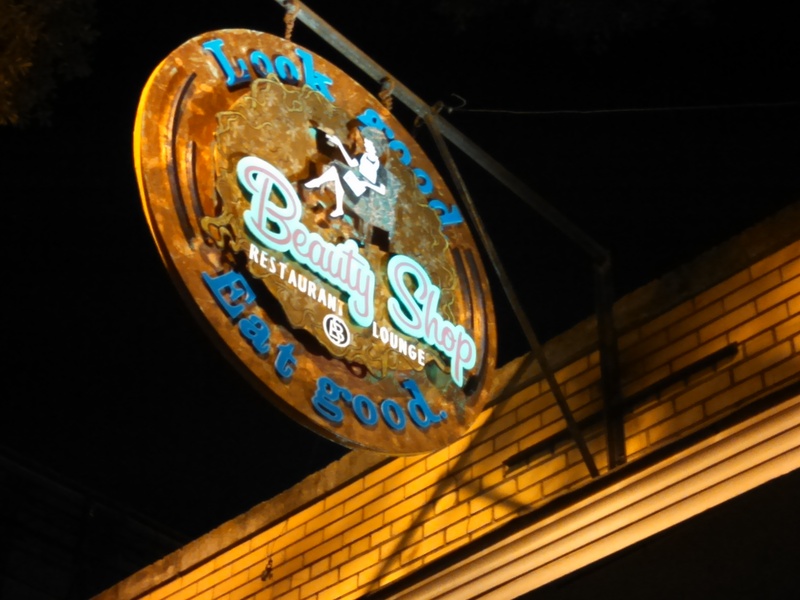 We decided to take a break from barbecue and followed our hostess’ suggestion to have dinner at The Beauty Shop Restaurant, a whimsical eatery in a former 60’s hair salon, complete with old-fashioned hair dryer chairs. And with a slogan of “Look Good. Eat Good.”, how could we possibly pass up this unique dining experience! Rumor has it Lisa Marie Presley came here to have her hair done back in the day. 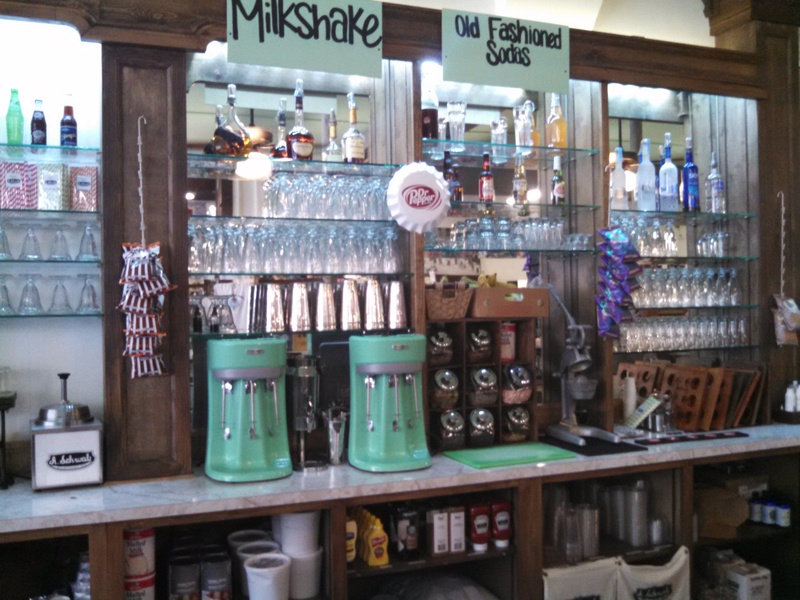 One of the restaurant’s specialties is handmade milkshakes in eclectic flavors like Rosemary Basil, Nutella and Sherry Fig. After consuming what we would consider to be a relatively healthy dinner, we decided to save one of those milkshakes for another trip! Remember sitting under these hot domes with a head full of soup can rollers waiting for your hair to dry so the hairdresser could tease and spray your “do” so it didn’t move for a week? As our visit to Memphis and stay with Taryn at her B& B (https://www.airbnb.com/rooms/194998?s=22) came to an end, Rorie was sure she couldn’t eat one more bite. Of course this was after polishing off an egg white and cheese sandwich to tide her over until her morning snack. Imagine our surprise when we went downstairs to say our goodbyes and discovered that Taryn had made us an incredible breakfast with the most amazing homemade biscuits, one glazed with caramel sauce and the other with red pepper jelly, crisp bacon, fresh fruit, and coffee with real cream and real sugar. Rorie managed to inhale it all and Bart, who never eats breakfast impressively cleaned his plate! The perfect end to a wonderful visit.